It’s late summer already, but the sunflowers are still blooming and ready to add a bright touch to the table. This has been a hot August day, so I’ve made sure to have a pitcher of ice water on the table and plan a meal of salads and chilled soup. 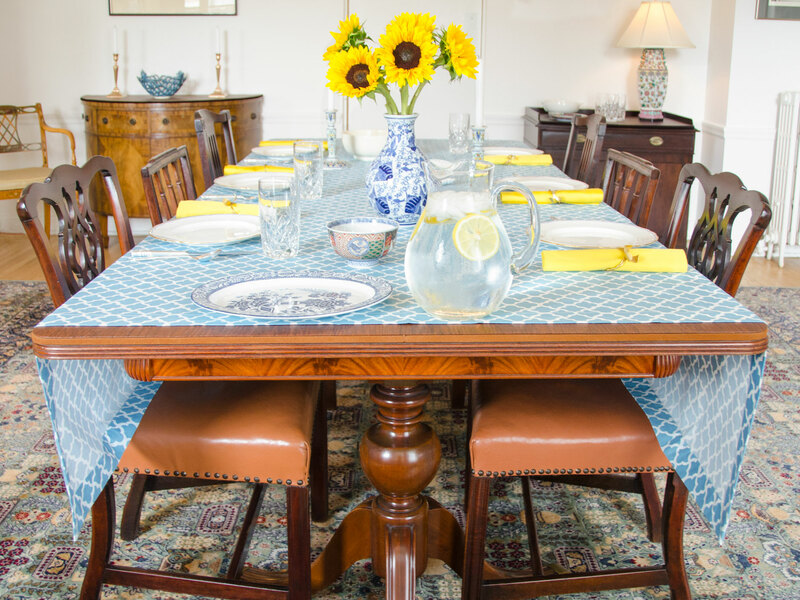 By the time the guests arrive, the water pitcher has already soaked the tablecloth beneath it, but thankfully the table itself is fine thanks to my Superior Table Pads beneath the cloth!